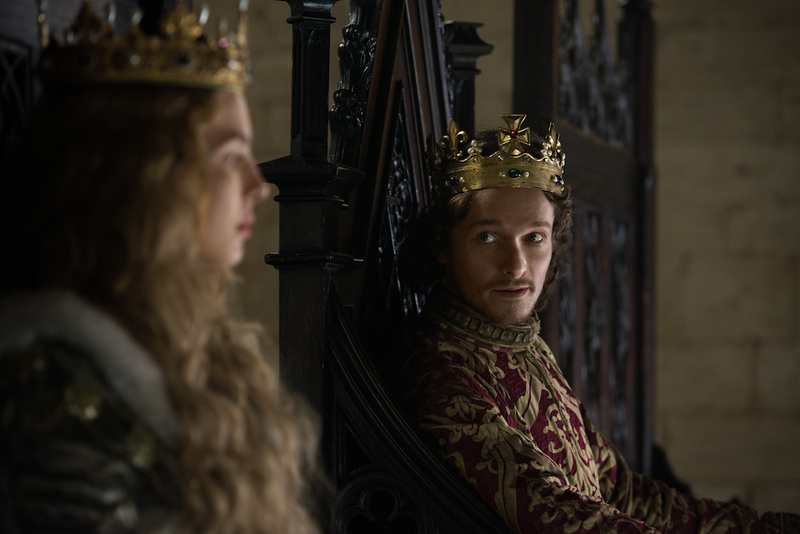 RECAP: 'The White Princess' Season One, Episode 4 "The Pretender"
On The White Princess, all the York ladies are being married off to Tudors or those loyal to the Tudors, and the Duchess of Burgundy is planning to bring war on Henry after Mary’s death. Here’s our recap of “The Pretender”! She’s a York after all, and they really hate the Tudors, so whatever she’s thinking could cause Henry a lot of problems. Lizzie and Henry are lying in bed together, and she’s one to reach for him. As they start to get closer and things begin to heat up, Lady Margaret bursts into the room from the Queen’s rooms. Lizzie is frustrated, but Henry starts to get dressed after his mother leaves because she has said that Jasper is back from Burgundy with news. After Jasper explains what happened to Mary and how the Duchess of Burgundy feels they are at fault, Lord Strange throws him under the bus by saying if he hadn’t been so wrapped up in the Duchess, he could have stopped it from happening. Doesn’t look to be too worried about causing a war or where Jasper was, but anyway. The knowledge that Jasper was maybe talking to another one from a semi-unreliable source, has Lady Margaret extremely jealous, and after their meeting, she leaves hurriedly. Jasper catches her in the hall and tells her he’s sorry, but she assumes he means for flirting with the Duchess. He explains that he’s sorry he couldn’t broacher peace for Henry. Outside, Lizzie is walking the grounds with Maggie, who wants to know what she plans to do about Teddy. Lizzie tells her that she’s working on it, but right now she’s concerned with the Yorks all being married off to Tudor men or men who were loyal to them. Maggie will even be married to someone because she could have a York heir herself. Sensing her worry, Lizzie tells Maggie that she’ll do all she can to ensure a good match, and that she’s already told Henry that she’ll have a say in who marries Maggie. Francis Lovell brings the Duchess of Burgundy several young, English boys to choose from, and at first it’s unclear what she’s going for, but then the plot comes out. She will try and pass off one of these boys as Teddy, Earl of Warwick, and start a war by pledging support behind his claim to the throne. Nevermind that the real Teddy is still locked up in the Tower. People will believe it and follow her. She writes to Elizabeth explaining her plan. 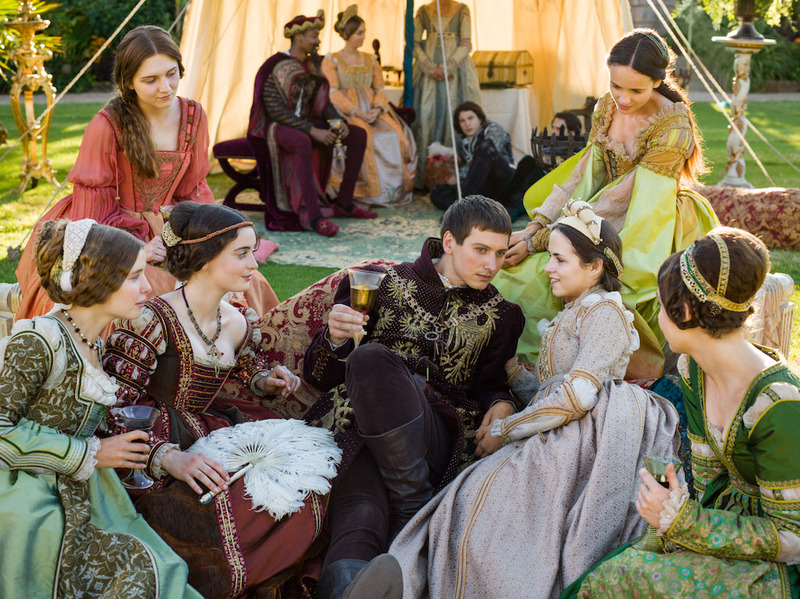 Around a chess board, Lady Margaret, Cecily, and later Lizzie make marriage matches. Cecily is already betrothed, but they’re working on other matches. Arthur, Lizzie and Henry’s baby son is already being arranged with Catherine of Aragon of Spain, but Lizzie takes his name off the board and says that they won’t discuss him now. Oh, and Lady Margaret needs to find new rooms because she’s not the Queen. Lizzie tries to pick Maggie’s husband, but is shut down by Lady Margaret who has already set her up with Richard Poole. She also lets Lizzie know that she won’t be moving out of the Queen’s rooms. Thoroughly upset, Lizzie picks up an unused chess piece and brings up the fact that Jasper Tudor would make someone a good husband. Especially if married to a York woman. Alliances go both way after all. In the hallway, Lizzie tries to speak with Henry, but he’s in a rush. They’ve just received word that Burgundy has Teddy and he isn’t in the Tower after all. Once they’ve seen that Teddy remains in the Tower, Lizzie begs him to let Teddy come and live with them again. He’s just a child. She appeals to him by saying that if he shows mercy to this child and lets him into their home then people will see that he’s not a bad person. It’s a show of strength. Then she subtly appeals to Henry’s lonely childhood by pointing out how isolated Teddy is. In the end, Henry decides to let Teddy come and live with them. In her usual fashion, Lady Margaret can’t leave things alone, so she conspires with the Bishop to put someone in the crowd as they all walk to the church for Cecily’s wedding to cry out their support for Teddy. Maggie makes sure to tell Teddy that he must be very quiet as they go to the church, but during the walk, an old woman calls out her support for King Warwick, and that sets Teddy off. He’s carted back off to the Tower and Maggie is sobbing. All the while, Cecily is on her horse yelling about how this is supposed to be her wedding day! The wedding goes as normal, even with Cecily staring daggers at Maggie like it’s her fault. Maggie tries to appeal to Lizzie to speak to Henry and get Teddy out of the Tower, but Lizzie finally puts her foot down. She explains to Maggie there’s nothing they can do, and she’s to be married anyway. She needs to begin thinking about that. Lizzie also tells her that her husband is from Wales. That’s when Maggie says that Lizzie didn’t have a hand in the choosing to which Lizzie tells her that she didn’t. Seeing an opportunity, Lizzie helps get her ladies drunk at the wedding so she can sneak out later. While they’re all sleeping, Lizzie makes her way to visit her mother. Lizzie asks her mother if she’s been writing letters to anyone or knows what the Duchess is up. Elizabeth tells her that she can’t get any letters out and doesn’t even have paper. It’s clearly a lie, but Lizzie can’t do anything about it. Her mother realizes she’s chosen a side, and it isn’t York. As she leaves the abbey, she sees Henry waiting for her. He yells and accuses her of plotting against him, but Lizzie won’t let the conversation end that way. She tells him that her mother lied to her because she knows the truth. Henry listens as Lizzie explains that the only reason she went was to see if Elizabeth knew what was happening because she doesn’t want anything to happen to him or to Arthur. This entire exchange is a turning point for Henry and Lizzie. The young boy is learning how to sword fight. Duchess Cecily thinks it’s wrong to have the boy be involved with the battle, but Francis Lovell tells her that the only way it will work is if he’s leading the army. Soon, ships sail from Burgundy to England, and during the trip Cecily tells the Duchess of Burgundy that she won’t watch an innocent boy die for a “useless cause”. As soon as the ship lands, she’s taking it right back to Burgundy. Knowing that the troops have landed, Henry is frustrated beyond belief. While he’s angsty it out, Jasper goes to find Lady Margaret. He humbly offers her something she doesn’t deserve. 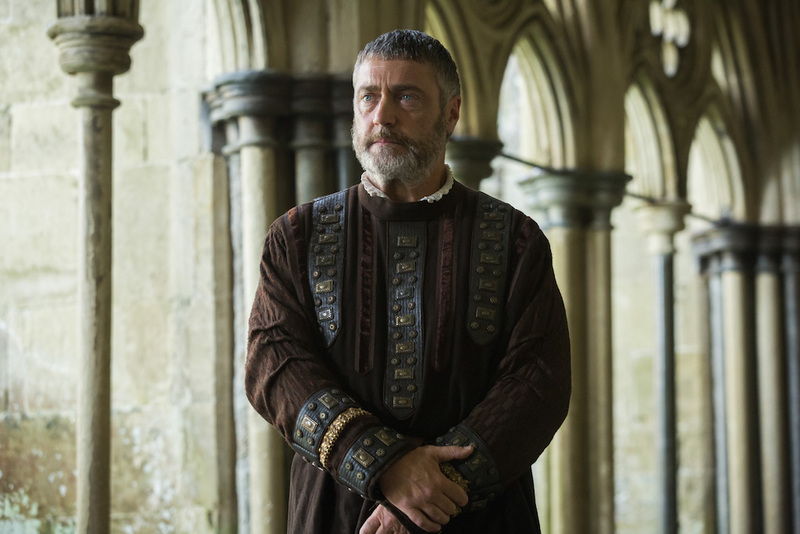 Jasper tells Lady Margaret that since she married her current husband to help Henry’s claim to the throne, she could be granted an annulment and be free to marry him. He tells her to take her time and he’ll wait for her answer when he comes back from the battle. After he leaves, Lady Margaret goes to the chessboard and takes Jasper’s chess piece off the board and holds it. Back in Henry’s rooms, Lizzie brings Arthur to him so he can see him before he leaves the next morning. Henry has pulled back a little but Lizzie refuses to let him act like she doesn’t care. They share a meaningful look and she gives him a lock of Arthur’s hair to carry with him. Lizzie entreats him not to fight, but to watch the battle. To be safe and to come home. They’re relationship is building in the most lovely way, and I’m so happy about that. They started out in such a bad place. This next scene is so beautifully woven together that I can possibly do it justice in describing it. I’ll try my best to hit the high points. To set the stage, all of this takes place at the same time. Maggie’s wedding overlaps with the battle Henry is at. The young boy that the Duchess of Burgundy has set up is pinned with a white rose and placed at the front of the command. He’s terrified throughout the battle and had men killed right in front of him. During the battle, Jasper is injured very badly. It all ends with Henry prevailing and them taking the boy captive. The Duchess of Burgundy sees that the battle has not gone her way, and she rides off and goes home. At Maggie’s wedding, Lizzie receives a letter from her mother. In it, she admits that she lied to Lizzie, and she also tells her that Arthur won’t be king. She insinuates that he will die before he ascends to the throne. When Cecily tries to get her attention, she tells her what their mother has said. Cecily tells Lizzie that Lady Margaret thinks Elizabeth has had a hand in what the Duchess of Burgundy is planning, and they don’t have a mother. They attend Maggie’s wedding together and we meet Richard Poole. Maggie expresses concern for being so far away from her brother, and Richard tells her that they’ll stay in London often if it makes her happy. Richard only wants her happiness, and she finally tells him to call her Maggie. This leaves Lady Margaret shook as Lizzie continues, asking her how long she’s loved Jasper. Lady Margaret acts affronted and leaves Lizzie. She goes back to the chess board and stares at it before putting Jasper’s piece back into play. Henry and Jasper arrive with the imposter. Henry announces that the boy will be dealt with and that Jasper was injured. Lady Margaret adds that Elizabeth should face punishment as well for conspiring against him. Jasper walks toward Lady Margaret, but she turns away without speaking to him at all. At court, they bring the boy forward and Henry lists his crimes and asks what’s to be done with him and Elizabeth. Everyone is in agreement that they should be punished, but then Richard Poole comes through like the amazing man he is. Henry agrees with him and says that the boy will work in the kitchens and be thankful, and he addresses Lizzie, telling her that the next time she sees her mother, to tell her he’s in good health. This earns a good laugh from the audience, but Lizzie grabs his hand and thanks him sincerely. His smug smile vanishes as he understands that she’s being real with him. Lady Margaret notices the whole exchange and looks less than pleased. As everyone leaves, Lady Margaret approaches Jasper in the hallway. He tells her that he thought she was avoiding him, and she cuts him off. This is Elizabeth’s sister, and Jasper is completely heartbroken as Lady Margaret walks away from him again. She goes to the chapel and looks emotional as well. Henry shows Lizzie into a room as she carries Arthur. She turns and looks all around as Henry tells her that he has made his mother move to a different one. Lizzie makes the first move again and kisses Henry. The Duchess is back at home and downcast. That is until Cecily tells her that a vistor arrived shortly after they had left. That’s when Lizzie’s long-lost brother, Richard, arrives to shake things up even more. With the romance and drama heating up big time on The White Princess, we can’t wait for more! Next week’s episode, “Traitors” is bound to up the ante. Lizzie must deal with her mother’s defiant defense of the York cause, while the appearance of a boy in Burgundy claiming to be a young prince threatens to further destabilize King Henry’s rule. King Henry’s mother Lady Margaret Beaufort faces the consequences of harboring a dark secret. What do you think will happen next? Share your thoughts below! The White Princess airs on Sundays at 8/7c on Starz! Be sure to live tweet with us!